Art works and sculptures included in the 32nd Annual Modern Marine Masters show is up and available for viewing on the Maritime Gallery at Mystic Seaport's web site. Hit the link above to see a marvelous array of fine works, including two of mine. The show hangs through June 12 but the images should be on line for a bit after that. Here is where things stand with the current work this afternoon. Another two or two and a half hours and it should be ready for a frame, perhaps on Monday. More of that 'stuff' going on. 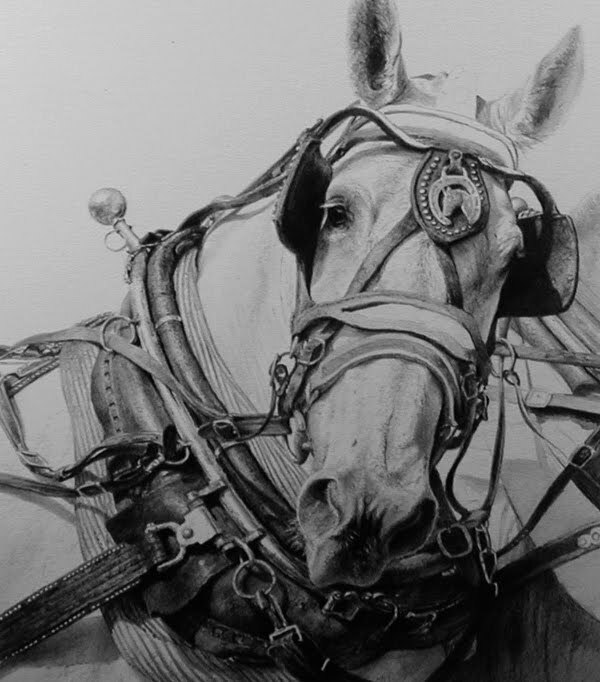 One or two more drawings of draft horses and I might actually be able to rig one up in person! All those straps and buckles and leather and such, oh my. Sometimes I wonder what possesses me to consider a close in composition such as this, with all its attendant detail. Well, I know pretty much that it will make for an interesting work, strongly focused encompassing a lot of interest. But, it is not usually until I am a day or two into a piece like this that the initial 'why on earth?' goes away and I begin to feel that 'ah, yes!' has taken over. Working in black and white, as I have said many times before, I feel I have to rely upon the variations of surface material, texture and structure to get my point across. I see it as being akin to a painter's desire to see what happens when they put blue beside orange or any other cool against warm tone, or they vary their brush stroke to make a specific separation or to show less or more detail. And so I will continue the noodling on this one, picking out details that need emphasis and softening those that I want to just 'be there' but not draw attention to. So far, I think it's going pretty well! Another small scale work, this one just about 6" square, which will most likely join the last two and be sent to The William Ris Gallery on the Jersey shore in Stone Harbor for this summer's season. I thought throwing in something less watery would be a good idea! OK, I've been at work the last few days and as noted earlier, I'm doing some new works that will go to my Jersey shore gallery in the next month or so. 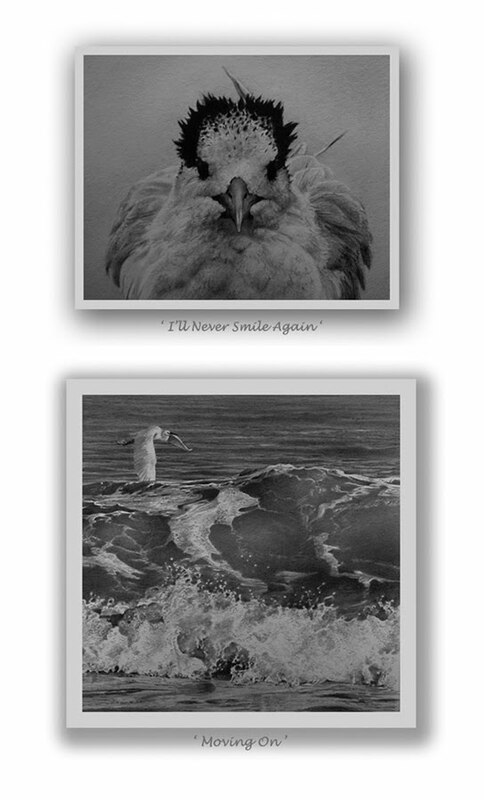 These are small pieces, the Royal tern being 4" x 5" and the snowy egret over the waves is 7 1/2" square. Reference gleaned from Florida back in January, though the waves in the lower work are from Chincoteague Island from several years ago and yes, it is perfectly OK to combine elements of reference material from various sources to suit. Another opening, another show! 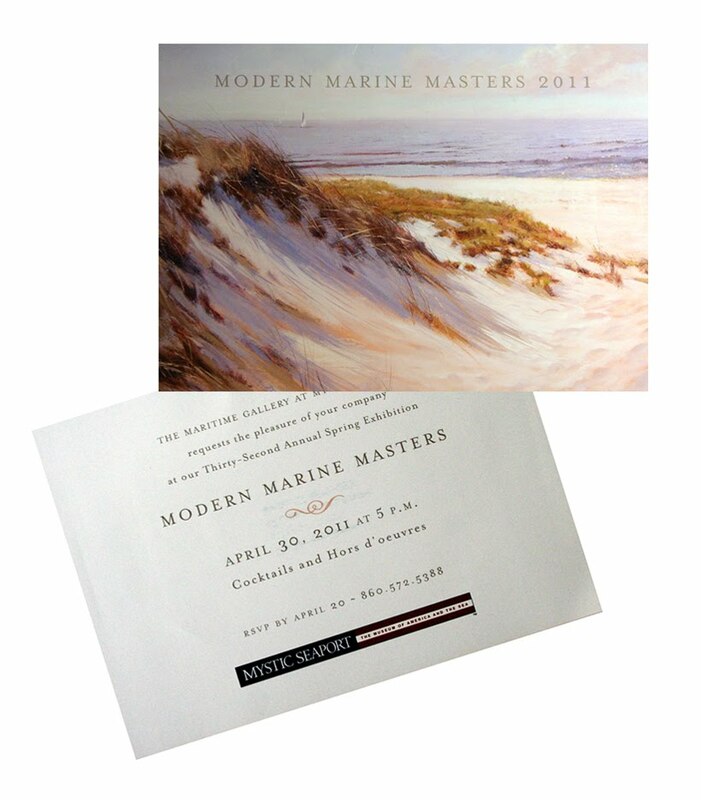 This one, Modern Marine Masters at the Maritime Gallery at Mystic Seaport in Connecticut, opening at the end of this month. I have several works included in this spring's show which will hang through mid June. Stop in if nearby and see some great marine art work. A bit of a breather today as I spend some time away from the drawing board. The last work took its toll and I need to spend a day or two or three or more, just relaxing and clear my mind for the next series of works. So, I am digging through reference material today and trying to come up with some ideas for the next few works. I think this will be a body of work that will wind up going to my New Jersey shore gallery, The William Ris Gallery, in Stone Harbor for delivery later in May. And, sort of following up on the last work, I am looking carefully through images gathered back in January on the southwest Florida coast trip. 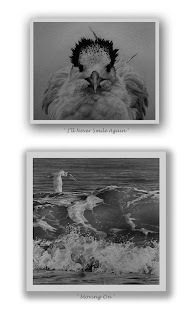 I have a feeling some shore birds might go nicely in Stone Harbor! 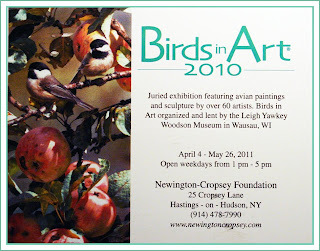 Also, this noted invitation arrived in the mail the other day announcing the current location of last year's touring portion of Birds in Art in Hastings-on-Hudson running through the end of next month. My work, Puttin' On the Ritz is included in the tour. If you are located near the Hudson, stop in and take a look at 60 marvelous works of art from the 2010 edition of this internationally reputed exhibition. 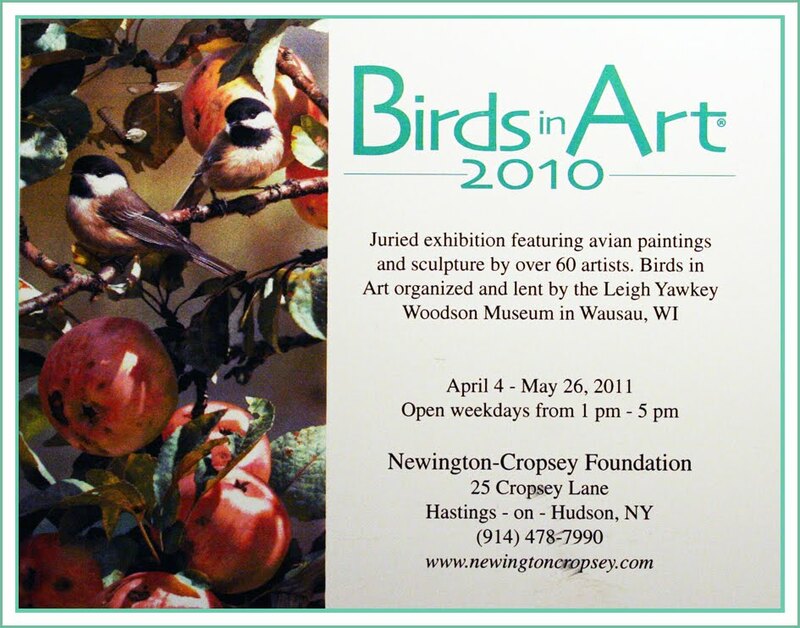 And speaking of Birds in Art, this year's jury submission deadline is manana. My two entries went in last week and it will be the second week in May before we hear who has made the cut this year. Stay tuned, this could possibly be my 20th year of inclusion in that outstanding competition. An aside this morning, if you will allow me . . . 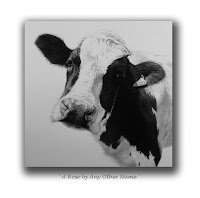 I've just taken a quick run through the blog pages of some of my artist friends, as I do frequently during the week just to keep up with what is going on and their latest works. The above image of a just completed oil by friend, Linda Besse stopped me dead in my tracks. I had been watching the work progress over the last week or more and was delighted to look in this morning and find that it was completed. There is so much to be said about it, I don't know where to begin. 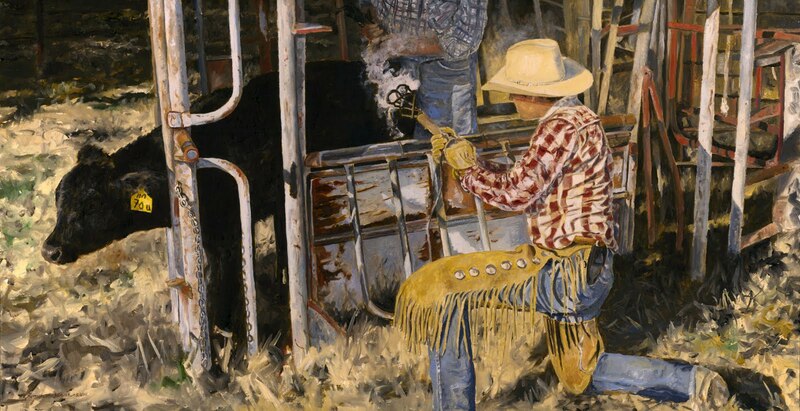 As Linda pointed out when she showed the first undertoned image of the composition, the subject matter was a bit new for her, as she was preparing for a special upcoming art show with a bent toward what would be called Western themed works. 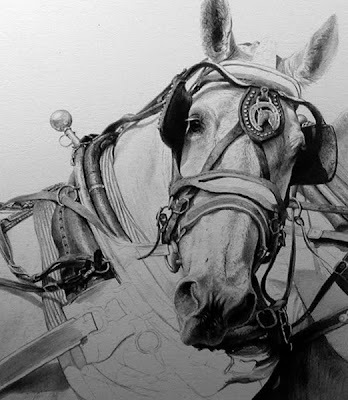 In any event, Linda was kind enough to reference her thoughts regarding my attempts at cows and horses and such, as a means of inspiration to her to tackle something new and different and a bit more challenging in the way of subject matter. I have great respect for Linda's eye toward interesting composition, and anyone reading these postings here knows that composition and good balance and interest in a work of art is almost the be-all and end-all for me as an artist. So, when she showed the first image of this particular work in its very rough, sketched out form, I was already hooked on it. It was quite obvious to me that her careful placement of each of the compositional elements had been well thought out. She even talked about her concern for the jumble of posts to the extreme right hand margin of the work and her wonder if she should 'edit out' some of that jumble, as editing down is an important part of taking reference material and making it ones own as an artist. Her decision to leave things as they were, in order to, with hope, move the emphasis of the composition to the center of the work where there were simpler and less confusing shapes and forms, was a leap of faith and it, indeed, paid off. She also talked about learning how to develop new color values with textures she had not been familiar with, such as depicting rust and clothing material. In the final analysis, Linda has produced a work that, had it been done in tones of gray and white, I would be quite proud to call my own. Everything about the piece just sings to me. The dark mass of the cow at left balances perfectly all the interesting forms, shapes and colors of the right side of the work. The movement of the work, from right to left, is in complete harmony with the vertical thrusts of all that jumble at the right margin as well as the strong vertical movement of the foreground figure and the beautifully soft yet important standing background, shadowed figure who stands directly on the center line of the compositional field. With strong light shown on the foreground figure, that is exactly where our eye enters the work. Interestingly, she mentions in today's posting about changing the color of the checks on that man's shirt from what was there in her reference material, to what needed to be there as far as her requirements as an artist to balance and contribute to the overall compositional strength. As I have said many times, choosing to make alterations such as that to reference, making things work for you, making things suit your purposes as an artist, is what generally separates a competent and well done work from the average. Linda has not only completed an interesting work, one that certainly draws me into it to explore and enjoy, but through subtle and well thought out editing, refining and positioning of subject matter, has certainly produced what I feel is an outstanding example of what good art is all about. 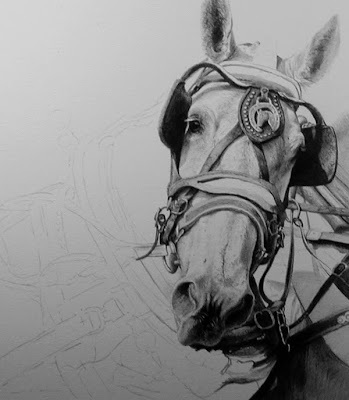 To see the full progression of this work, click on the link to Linda Besse's blog page and enjoy!